On Friday, November 2, two members of the Polar Design team (Mark and Tom) were invited as panelists for a workshop discussion entitled “Taking Fundraising Social” (along with Alecia Jean “A.J.” Orsini Lebeda, @AleciaLebeda, of Falmouth Community Television) at the Alliance for Community Media North East annual conference for community media / public access TV organizations. The discussion focused on social media fundraising strategy and tactics for public access / PEG television stations. In fact, the ideas apply to any non-profit interested in exploring social media’s fundraising potential.Here’s a recap of Polar Design’s participation in the panel discussion and key points, not in any particular order. First and foremost, organizations relying on social media need to build a network of connected followers in one or more of the social media platforms. In Facebook, this means fans of your organization’s page. In Twitter, this means followers. The discussion of useful social media tools that follows in the section below is integral to this process. Also important is identifying something meaningful about your organization that your potential followers can be passionate about and that your organization can communicate about passionately! Passion is the key to encouraging individuals to reach into their real or digital wallets. Using websites that measure “social capital” like Klout, you can identify influential members of the social media community that are located near you as well. These people are likely interested in local community events that Community Media stations cover, and their large number of followers listen intently to their reports and opinions. Connect with them via Twitter by following them and engaging them in conversion; locate their friends in Facebook and ask them to invite them to your organization’s fan page. Most importantly, find common points of passion to share with them! 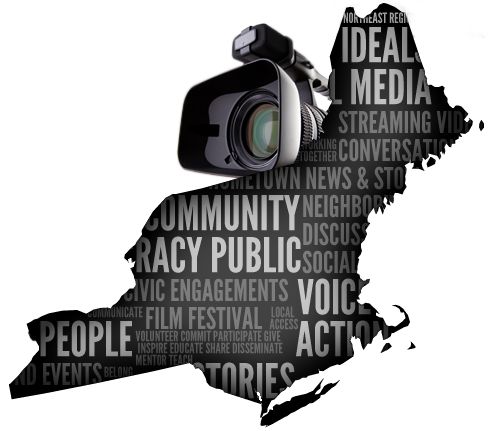 By necessity (since the conference targeted Community Media & Public Access TV stations), the conversation focused on Community Media organizations’ opportunities and challenges in fundraising. These opportunities and challenges are often similar to many other types of non-profits in that they are engaged in projects that have measurable, tangible results (in the case of Community Media, it’s the programming produced by individual volunteers) but also have a certain amount of ongoing operations that require funding as well. You can motivate followers to spread the word through a number of methods such as #FollowFriday mentions in Twitter or special thank you posts with the followers tagged in Facebook. Find out what programming followers are interested in, identify products related to that audience and promote them directly with a donation amount added to the price, or offer them as rewards in fundraising contests. Keep followers engaged in between campaigns so they are ready to help – tweet or post in Facebook about special programming you’re involved in, recent awards, or simply share fun and silly things going on at the station. If your follower network is large enough, you can use a social fundraising application to take payments and help run contests. Applications like Polar Design’s Share and Win social media application will track who has referred whom, for example, that allows you to award points for the most referral activity and give out prizes to top participants. This can have a major boost on followers’ motivation to spread the word and lead to viral spread of your fundraising. A less well trodden path to fundraising is project based fundraising. For Community Media stations, this can involve identifying an individual in the community with an exciting story to tell or with a large following that would love to learn more about their special skills (e.g., cooking, quilting, traveling…). 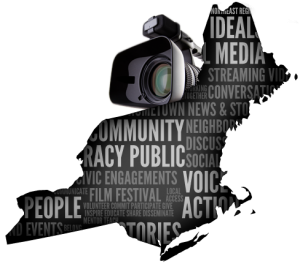 Community Media stations can hit two birds with one stone and increase local reach and attract further individual donors or corporate sponsors by producing impressive quality content like NewTV’s The Folklorist, a high quality production by any standard. Individuals in the community that have an interest in focused topics like local history or community affairs may wish to support them with a similarly high quality production standard program. Media organization can attract support for projects and, in the process, help fund their ongoing operations as well. Particularly insightful or interesting programs can excite a community and fundraising, and that makes it easier attract and engage followers. Corporate sponsors can also take an interest in programming such as reviews of the local economy that include their thoughts and words. Social media provides a medium through which to locate potential donors or sponsors based on their tweets or Facebook interests. The emerging field of cause marketing is something we discuss generally in our cause marketing case study. Nevertheless, as it concerns Community Media, cause marketing provides limitless opportunities to engage local businesses to underwrite fundraising. For example, your organization might have specific programming related to a topic like home renovations. You can solve issues like viewership, fundraising and engagement by encouraging viewers to retweet or post in Facebook a message that is displayed during the show to earn the chance to win a gift card or some similar prize. Coordinate with local hardware stores or contractors to donate $0.10 to your organization for each re-tweet or post in Facebook. You might consider utilizing a Facebook or Twitter application to make tracking of this engagement as easy as possible. Yet other possibilities include e-commerce and charity auction sites that allow organizations to list donated products for purchase or bidding. There are endless possibilities with cause marketing, where businesses team up with non-profits to match or fully fund donations. Businesses benefit with increased exposure and organizations benefit from the fundraising activity, as well as the business’ existing customers often flocking to participate in such offers. The following social media tools can be greatly beneficial, not only for public access stations, but any business utilizing social media to engage their community, followers, and target audience. THAT – make that status a tweet on Twitter with that same image. With this recipe, you will no longer have to make the posts in both locations, but rather only in once space and the subsequent action will occur automatically, therefore streamlining your daily social media activity. IFTTT.com allows users to choose from many different Channels, ranging from Facebook and Twitter to RSS feeds to Craigslist searches and even the weather. Many combinations are possible and with IFTTT.com your daily social media activity will seem a bit less demanding. Another social media tool helping social media authors manager their multiple accounts is HootSuite. HootSuite allows users to link multiple Twitter and Facebook accounts to their dashboard. If is from the dashboard that users may then see, from a distance, activity from all linked accounts. Having all accounts in one dashboard makes life easier in that admins no longer have to log in to Twitter under one account, make a post, then log out and log in under a new account to make another post. Also, HootSuite allows scheduling of tweets and posts. Admins are then able to set routine tweets each day in advance so they may focus on other tasks in their business. This is a huge time saver and allows your Twitter accounts to still be “relevant” after hours and on weekends when administrators may not always be watching their account. As mentioned earlier, Klout is a social media tool which measures “social capital” of users. With Klout, businesses and individual users are able to identify influential members of the social media community that are located near them or who are influential in topics that matter most for your cause and messaging. Once connected with Klout, users may see who they have influenced and who influences them. Klout also displays the “moments” in which your account has been most influential on other users through specific posts’ overall engagement, be it through Facebook likes and comments, Twitter tweets, retweets, and favorites, LinkedIn likes and comments, or other social interactions depending on the platform. With Klout, businesses are able to more easily identify those individuals and business accounts that are most influential in certain topics. By knowing this, businesses can then reach out to them and engage them in their campaigns in hopes of helping to spread messaging as optimally as possible. Be Social. Share What YOU Think! What do you think of these ideas and social media tools? Has cause marketing helped your messaging? How have you been utilizing social media platforms to engage your community and target audience? Do you recommend the use of any other social media tools? Please share your thoughts and suggestions in the comments section below, in a reply to Polar Design’s Twitter page, or on Polar Design’s Facebook fan page!